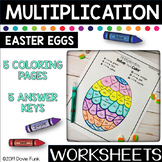 Have students practice their multiplication facts using this fun seasonal coloring sheet! 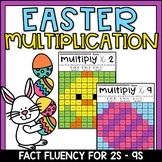 Get them to practice multiplication facts this spring. 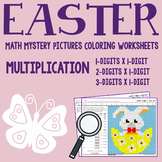 Use in March, April, or May! Super motivational for all. 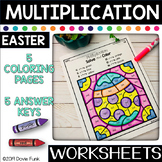 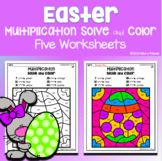 This Easter worksheet is made for students who need a little tougher multiplication problems, but still enjoy working on a color by number worksheet. 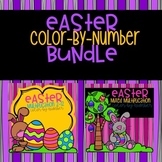 Here are two products combined as a bundle! 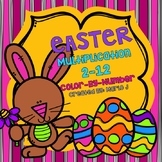 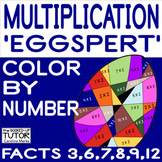 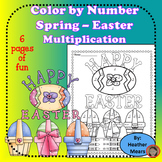 Includes 18 pages of multiplication color-by-number, 11 are numbers 2-12 and 7 are mixed. 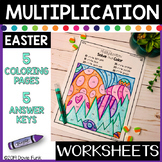 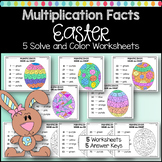 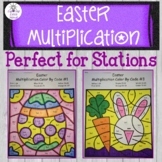 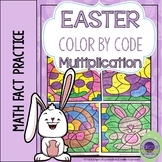 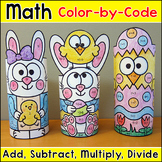 Your students will practice their multiplication facts and use the products to color Easter themed pages according the product code or key. 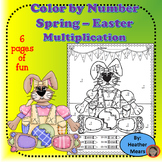 The students are also given some choice of color on each page so they may get creative. 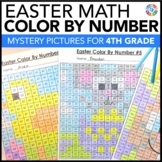 Answer pages are included in this product.